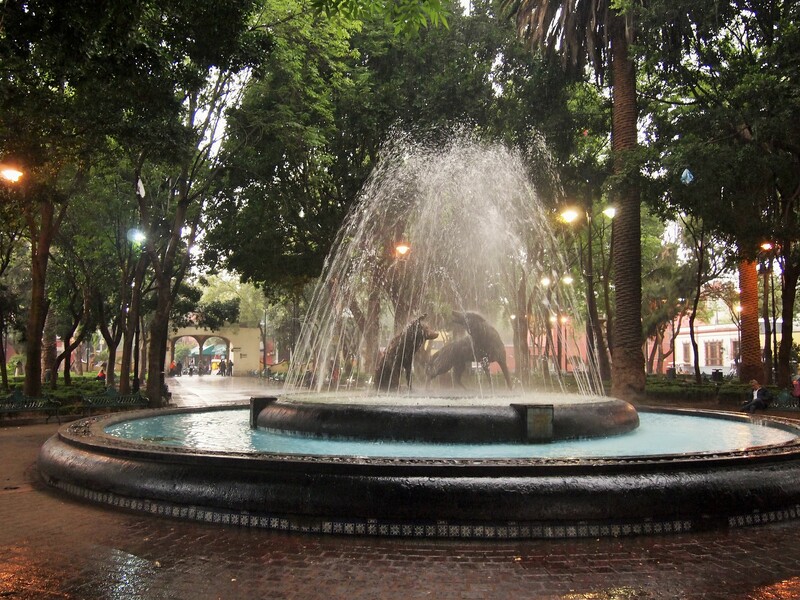 Amid the rain and fountain water, can you tell there are two coyotes in there? 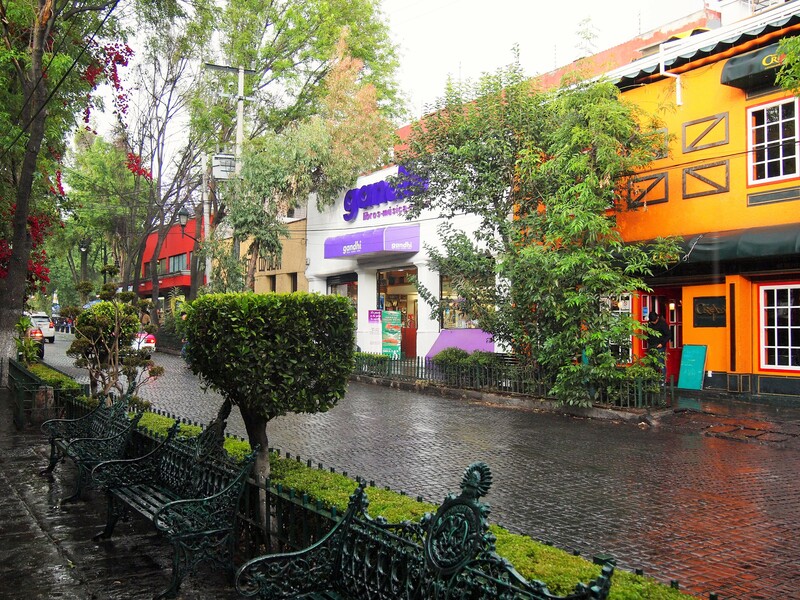 Coyoacán was also the hometown of Frida Kahlo and that is the main reason most people venture down there. 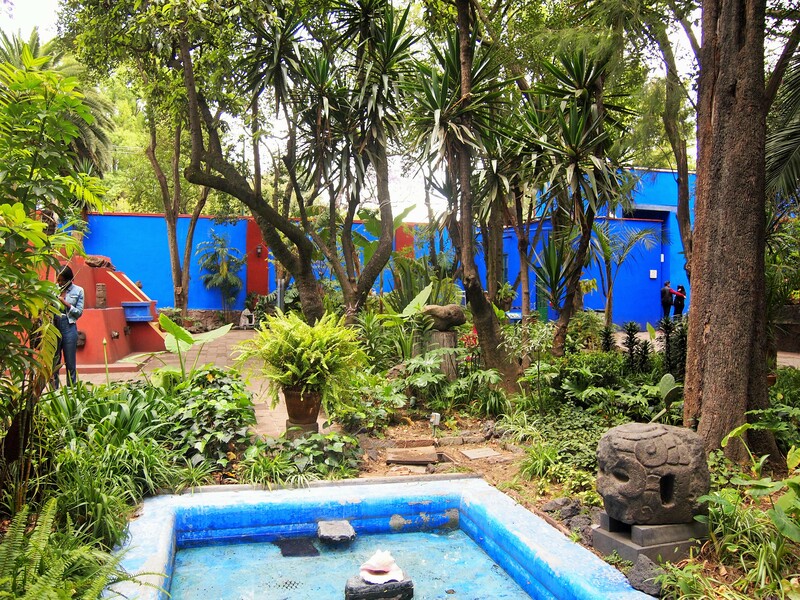 Museo Frida Kahlo, or Casa Azul, is a huge attraction for visitors of Mexico City. The artist, who produced a relatively small body of work in her lifetime and received little fame, has transcended death to become many things to many people. 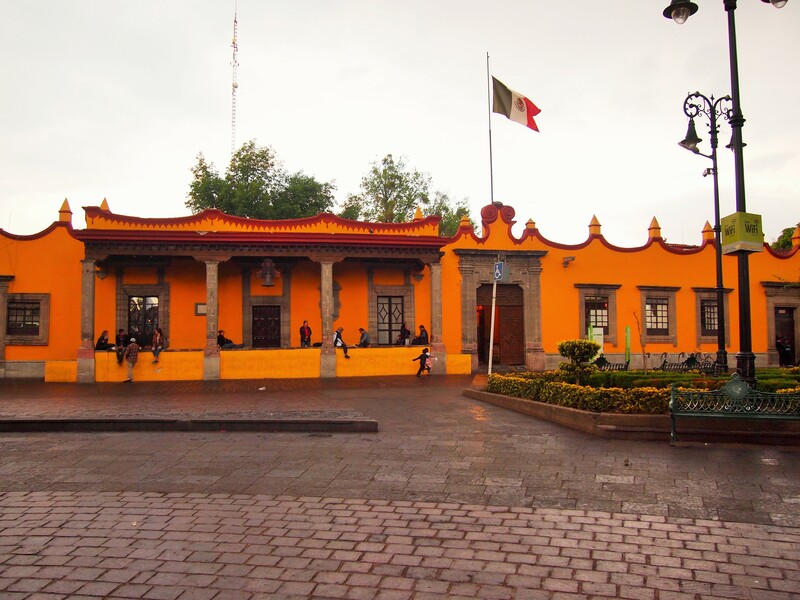 She is a fashion icon, a symbol of strength in the face of tragedy, and an embodiment of the mixed cultural identity of Mexico. 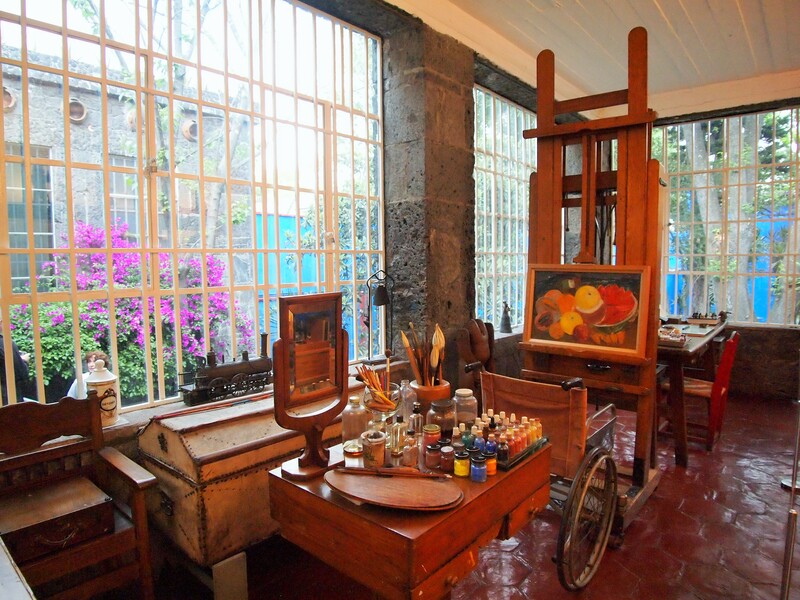 She has also become a renowned artist in her own right, separate from the fame of her husband, Diego Rivera. 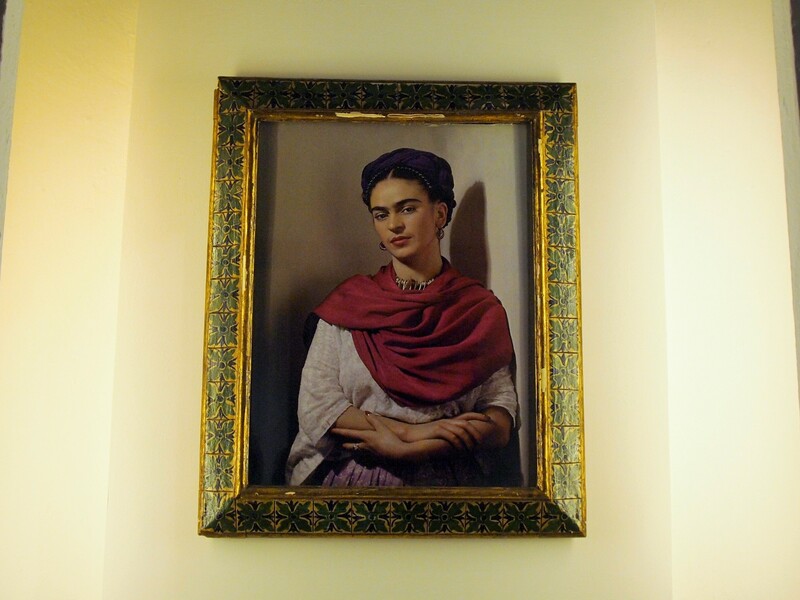 I knew little of Kahlo’s personal history before we arrived and was shocked to learn about her battle with polio at age 6 and a tragic bus accident at 18 which left her with chronic pain for the rest of her life. 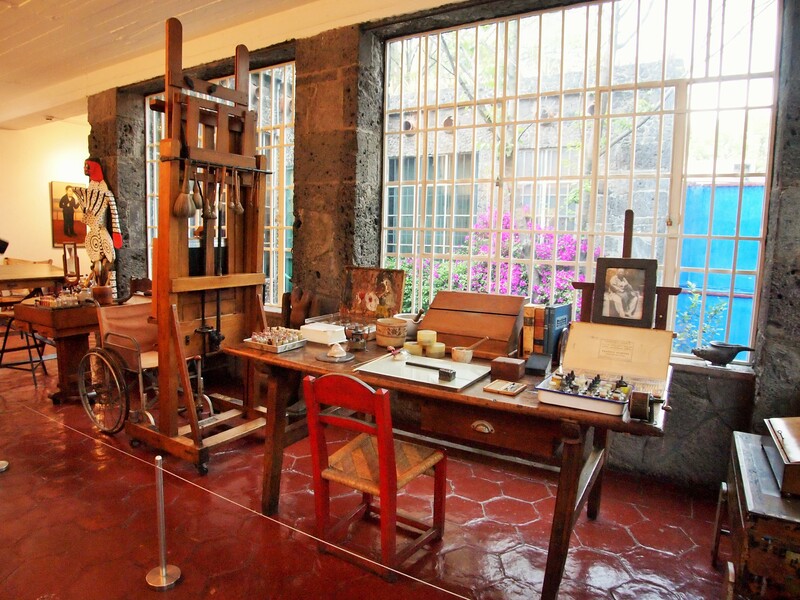 It was while she was in a full body cast recovering from the latter incident that Kahlo began painting. 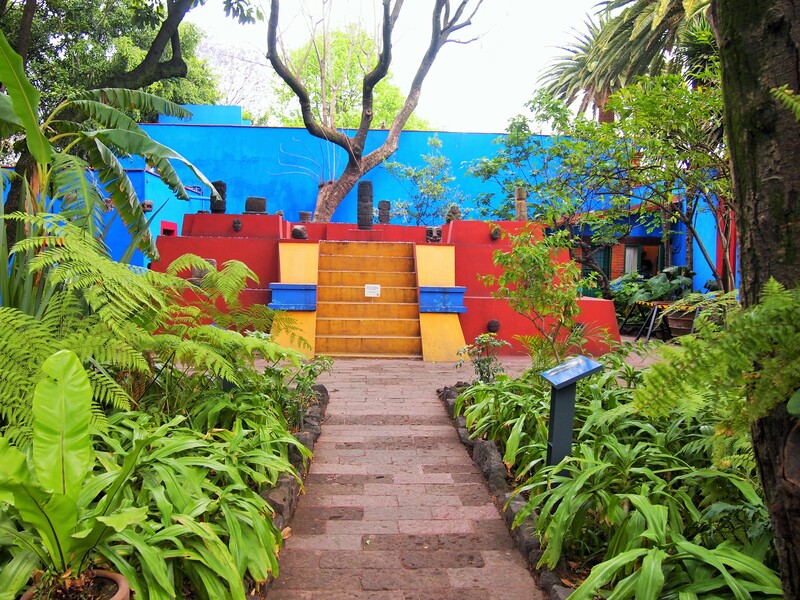 The museum is located in Kahlo’s home; it’s where she grew up, where she lived as an adult, and where she died. 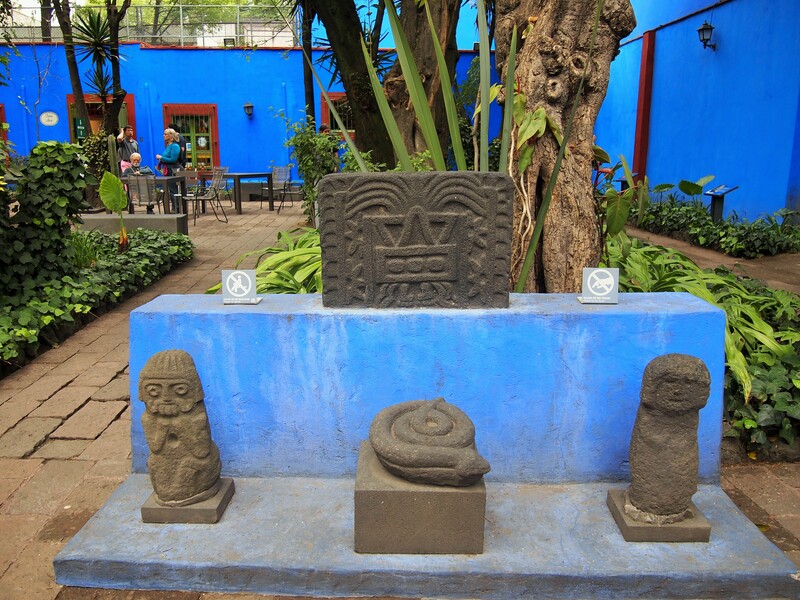 You first enter the courtyard, a lush garden filled with pre-Columbian (indigenous) art bordered by the home on one end and high cobalt colored walls. 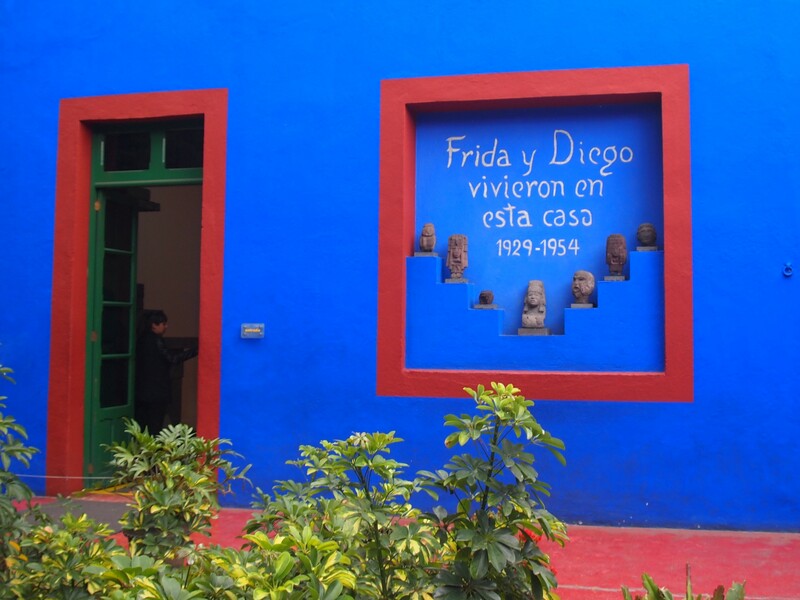 We followed the courtyard around to the special exhibition of Kahlo’s dresses. 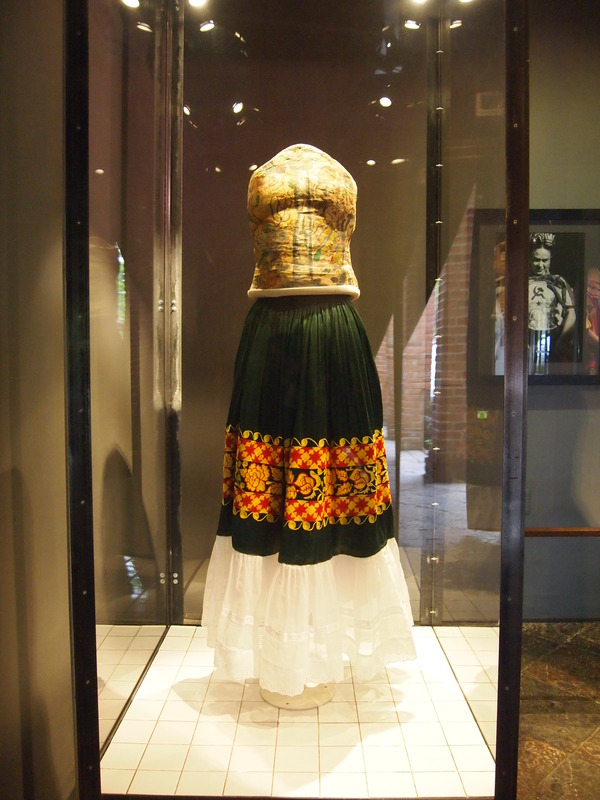 Known for wearing the traditional tehuana dress of her mother’s indigenous heritage, Kahlo’s style was also influenced by the physical marks of tragedy. 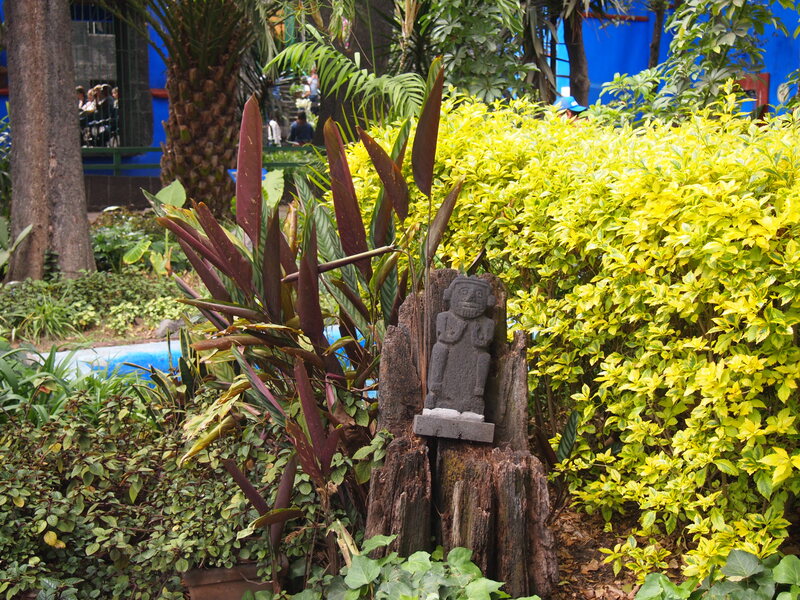 Long skirts and platform shoes hid the frail foot and leg scarred by polio, while colorful huipil tops hid the back braces and body casts she often wore. She also decorated the corsets she used as braces, turning them into works of art instead of confining garments. 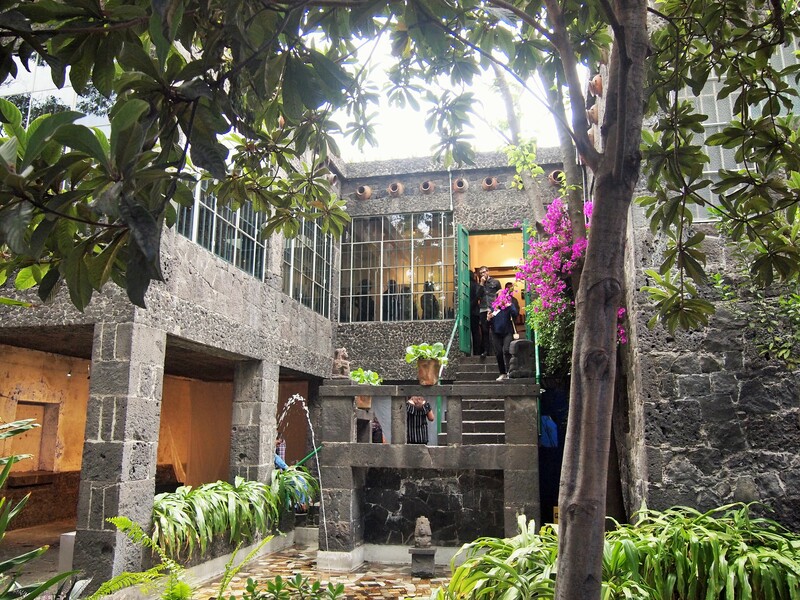 When Kahlo died, Rivera sealed her clothes and other belongings in the bathroom, requesting that they not be revealed until fifteen years after his own death. Yet, the bathroom was not discovered until 2004, unearthing a treasure trove of items for researchers. The concealed items were the meat of this exhibition. 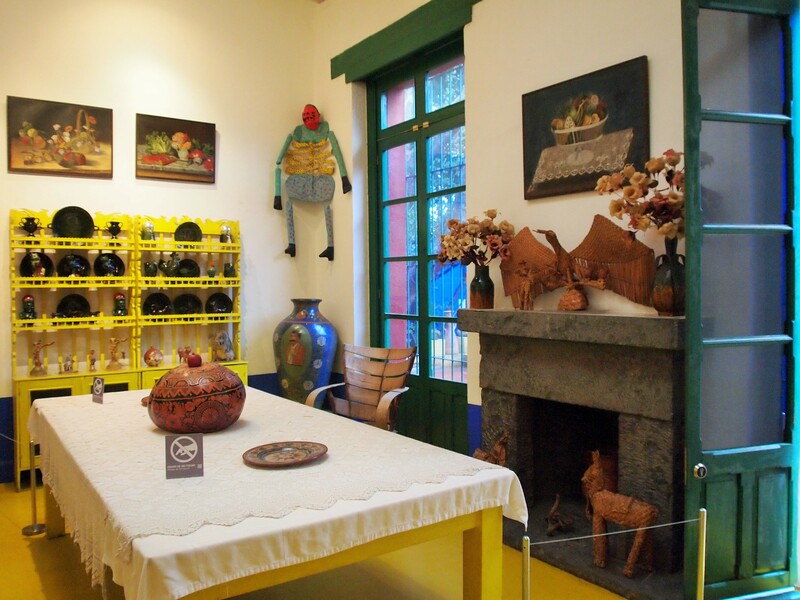 The tour of Kahlo’s home begins with a gallery of her artwork and photography, some articles from her personal art collection, and different aspects of her artistic career. 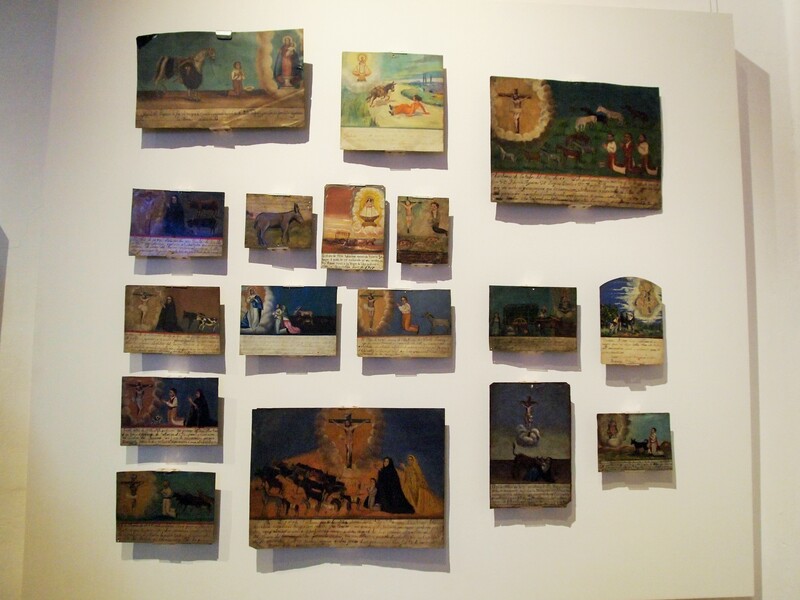 I especially liked Kahlo’s collection of ex-voto paintings. These small paintings demonstrate a saint intervening in someone’s life during a tragic incident or healing them after an accident. The ex-voto was typically commissioned by the person depicted in the painting and was an expression of gratitude toward the saint. 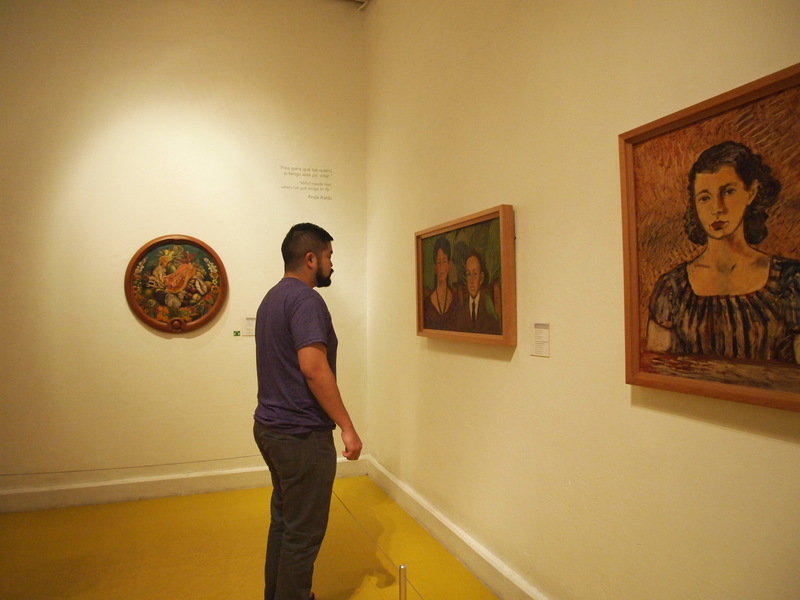 Kahlo and Rivera collected hundreds of ex-votos and their artistic style can be seen in several of Kahlo’s paintings. 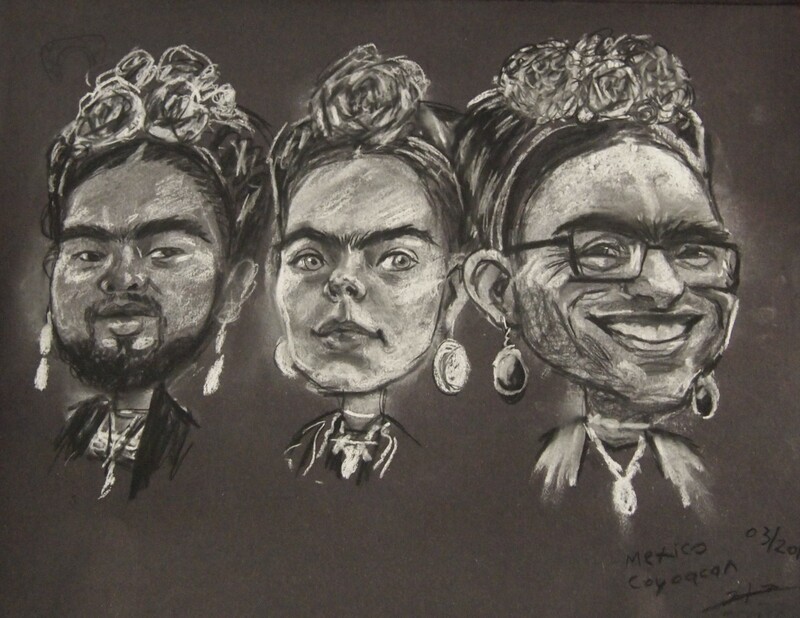 A portrait of Kahlo by ? 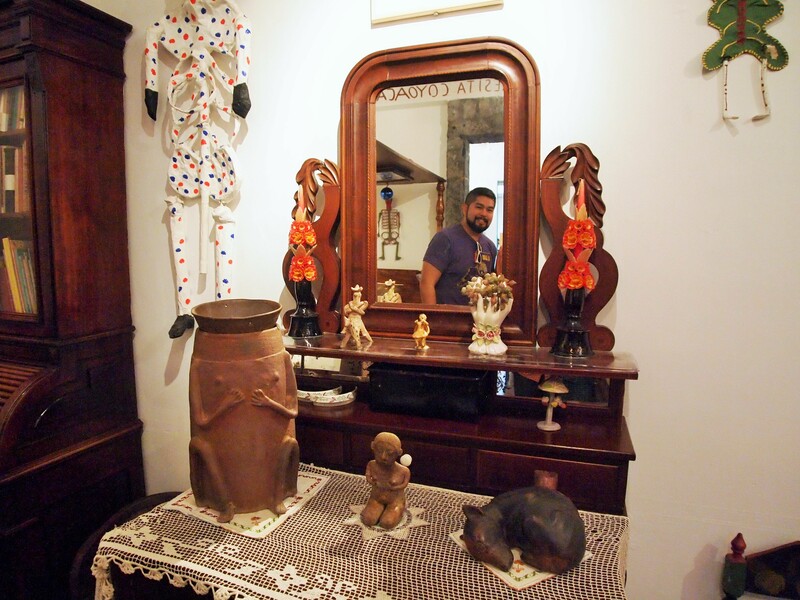 After the gallery rooms, visitors get to enter rooms of the house in which she and Rivera lived. 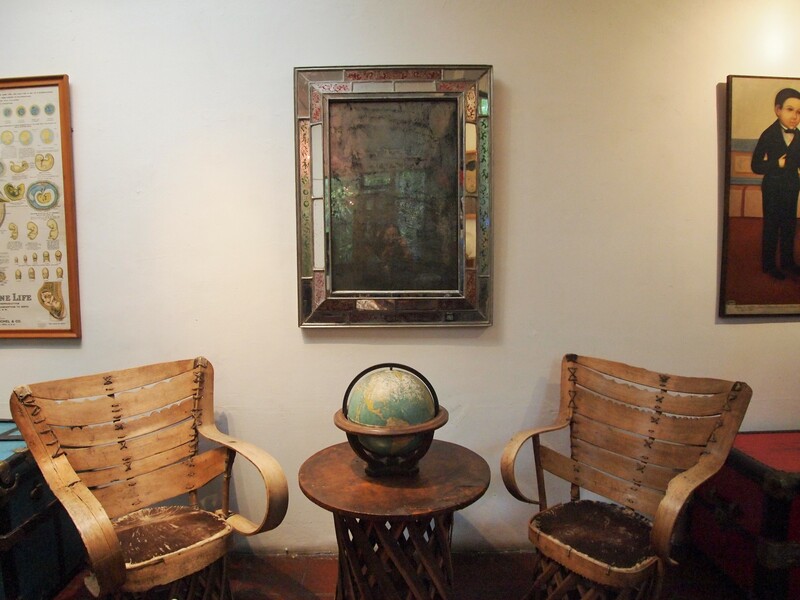 (The gallery rooms were the formal living area where they entertained guests.) It felt like stepping back in time. 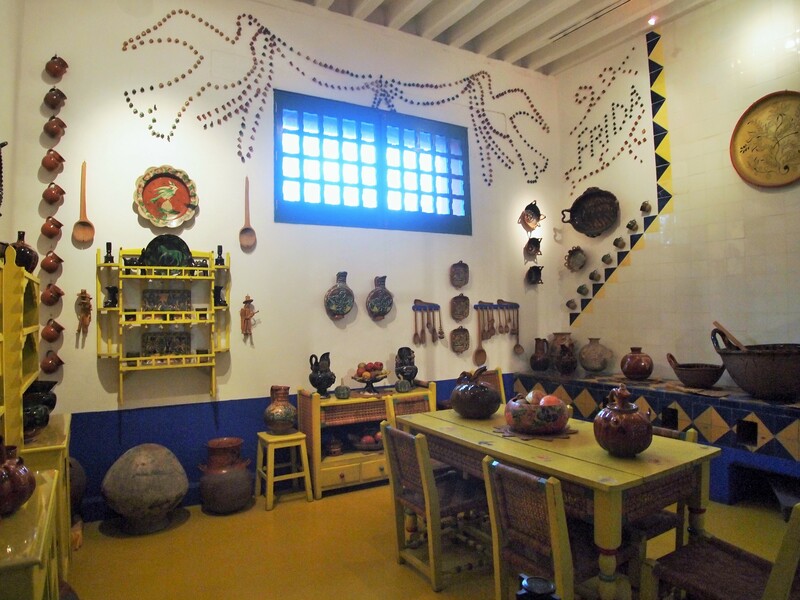 We visited the dining area first, a vibrantly colorful room, outfitted with a variety of artwork, dishware, and nick-knacks. 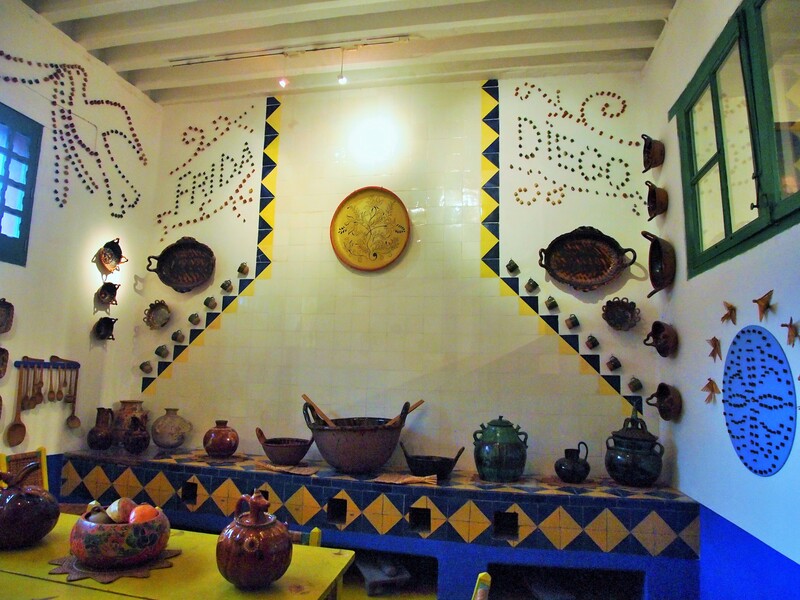 Off the dining room was a small room where Rivera lived at times and was also occupied by Trotsky when he briefly stayed at the house. 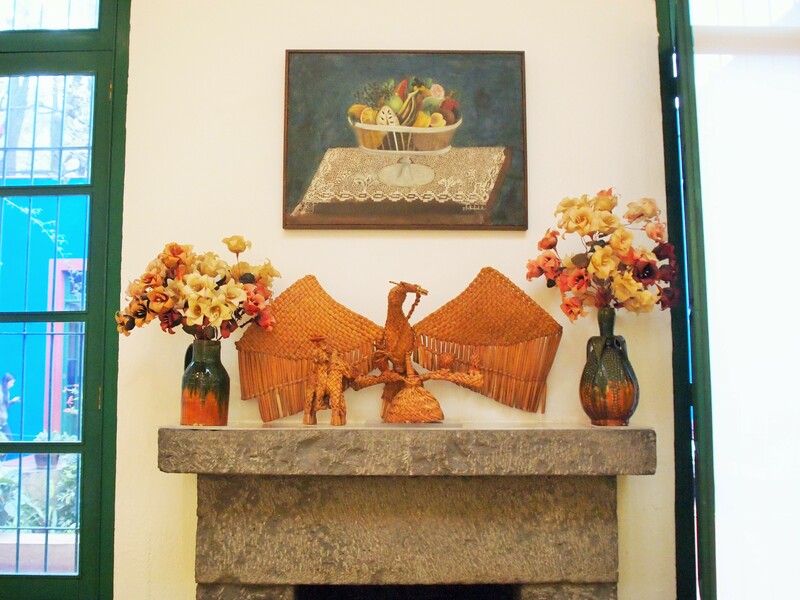 Then we entered a stairwell to access the kitchen which matched the dining room in color and decor. 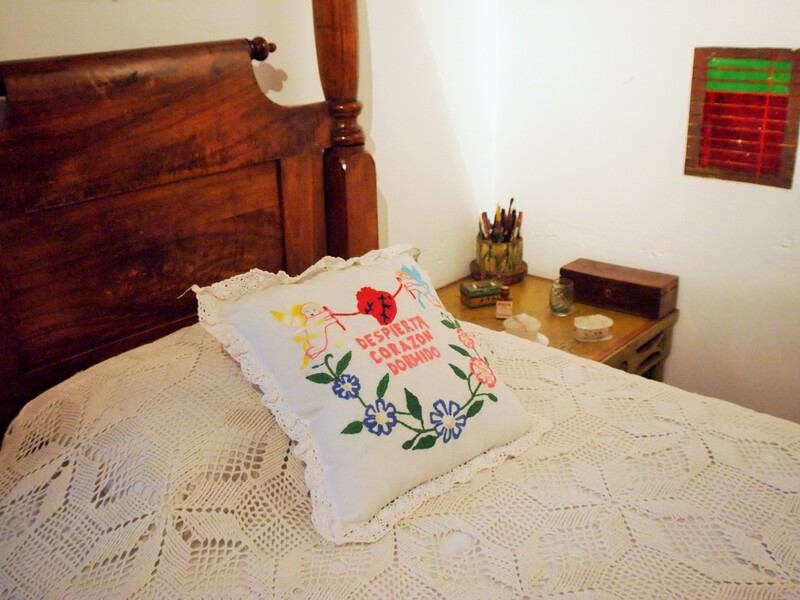 And finally, we went up the stairs to Kahlo’s studio and bedroom, where her ashes remain in an urn on her dresser. The volume of people seemed to stack up more once we hit the rooms – I think people blow through the gallery rooms fairly quickly – which made it a little more difficult to linger and snap a photo or two. 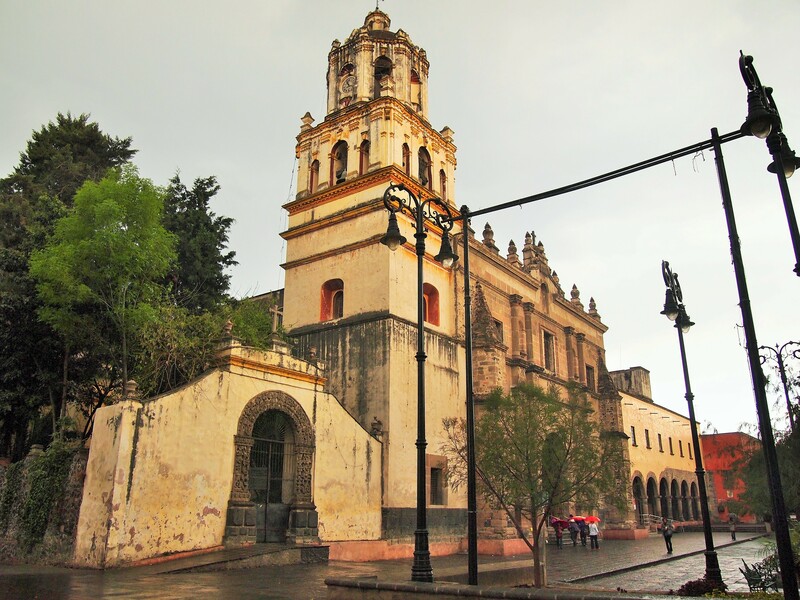 I don’t like to take many photos anyway – hopefully it will encourage people to visit in person! 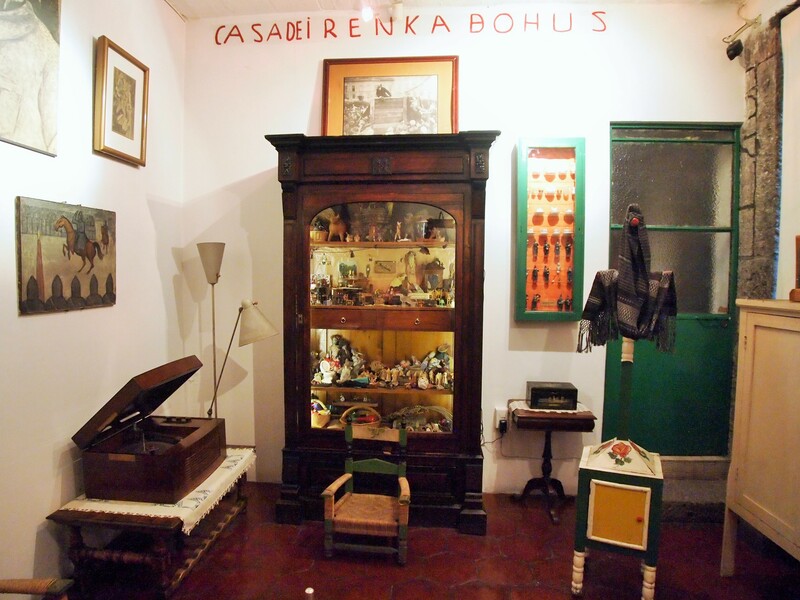 It’s a fabulous little museum. 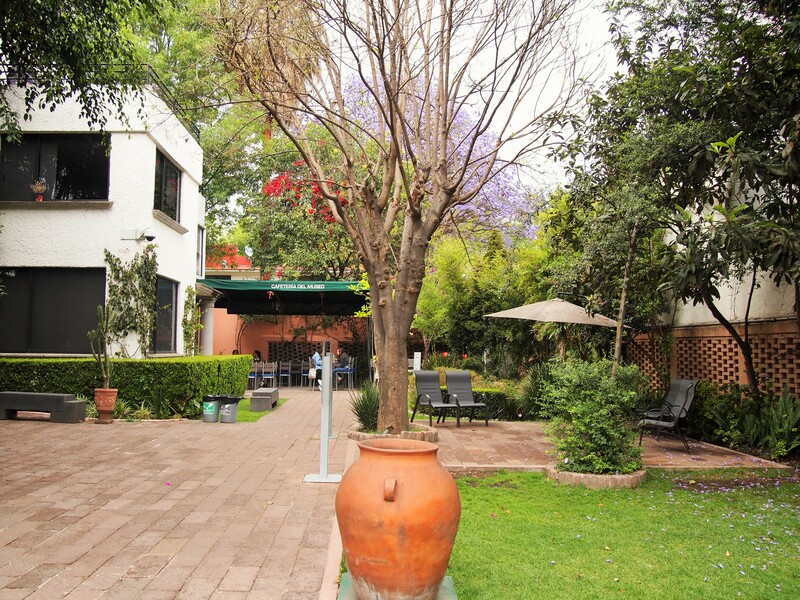 When we left the house we lingered for a while in the courtyard. It’s a really pleasant place to hang out. Tim and I parted ways with Zach as it began to rain. 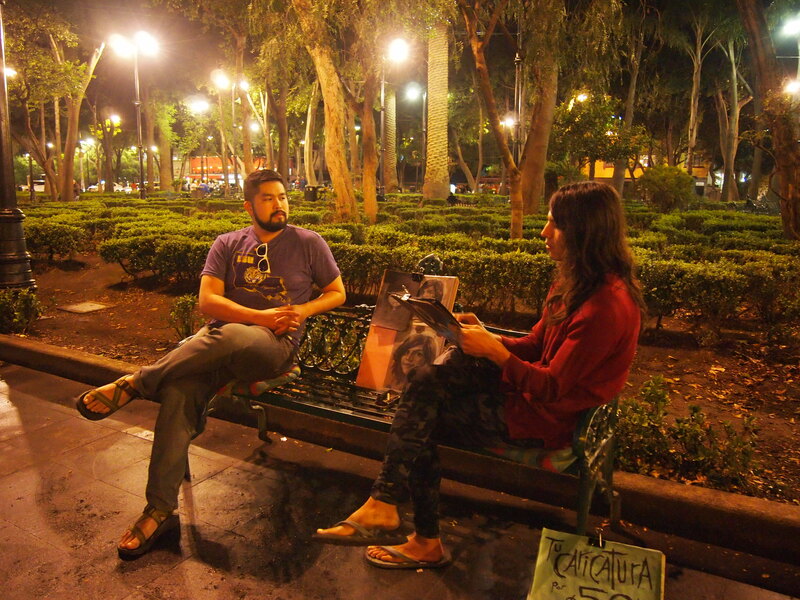 Zach had a trumpet lesson in a different part of Coyoacán so we agreed to meet up later. 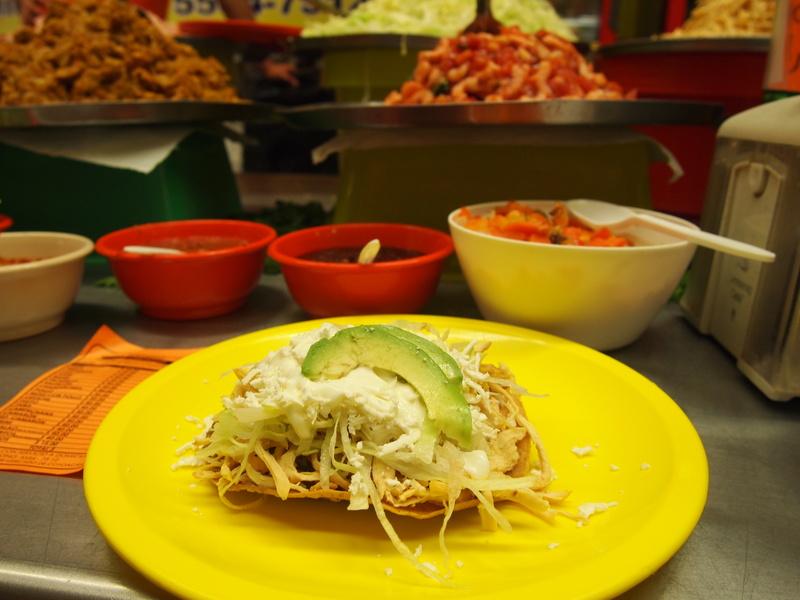 Tim and I stopped into Mercado Coyoacán to avoid the rainfall and found, to our delight, several food stalls with the local specialty – tostadas. It was the perfect treat. 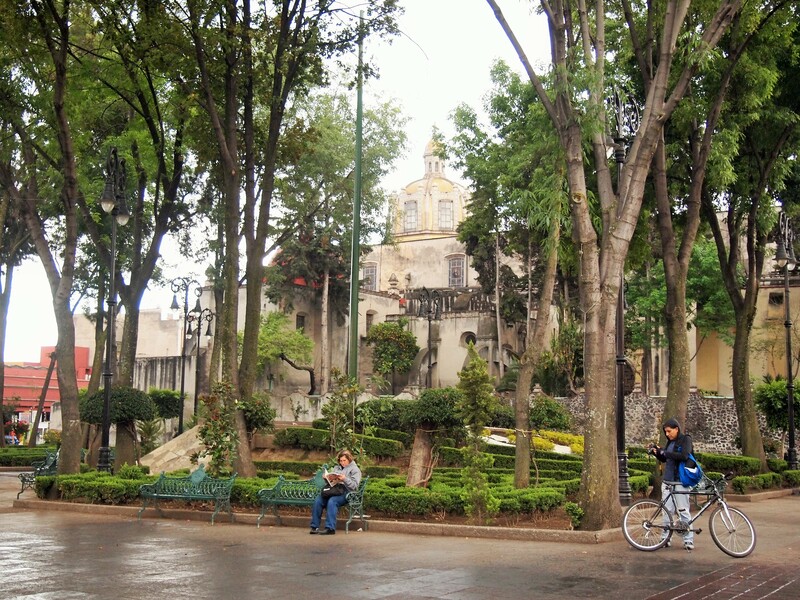 We continued along to Jardín Hidalgo as the rain petered out – or so we thought. 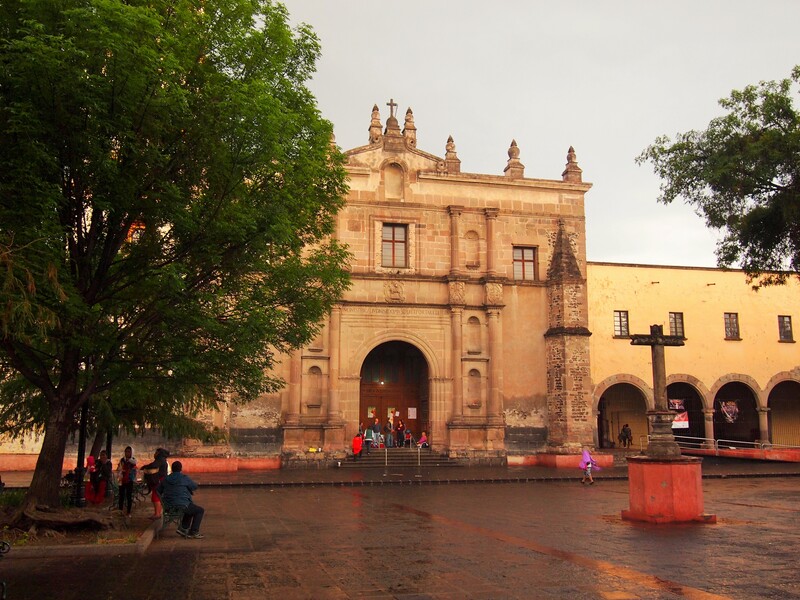 As we admired Parroquia de San Juan Bautista, one of the oldest Catholic churches in Mexico, the sky opened up and the downpour began. We took cover under the massive trees on the plaza but eventually had to make a move. 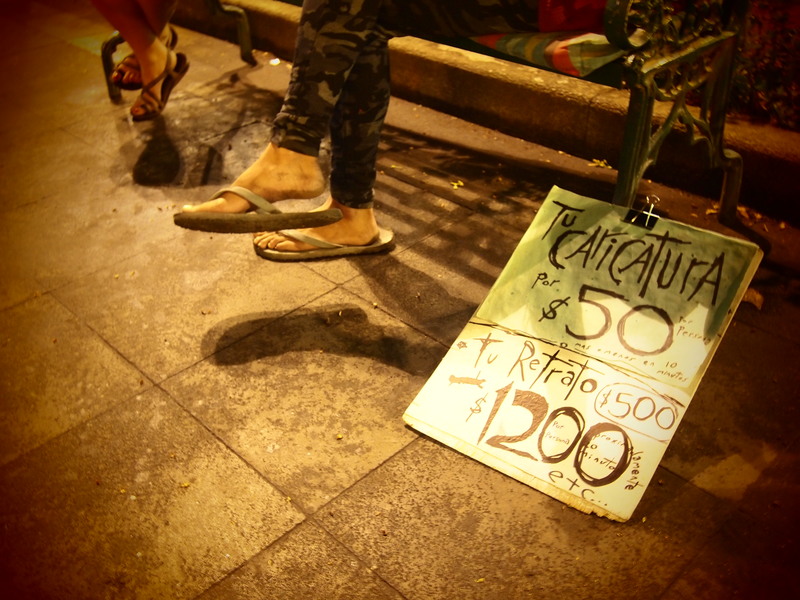 We crossed over to Jardín Centenario, hopping from tree to tree, but despite our efforts we were eventually soaked. 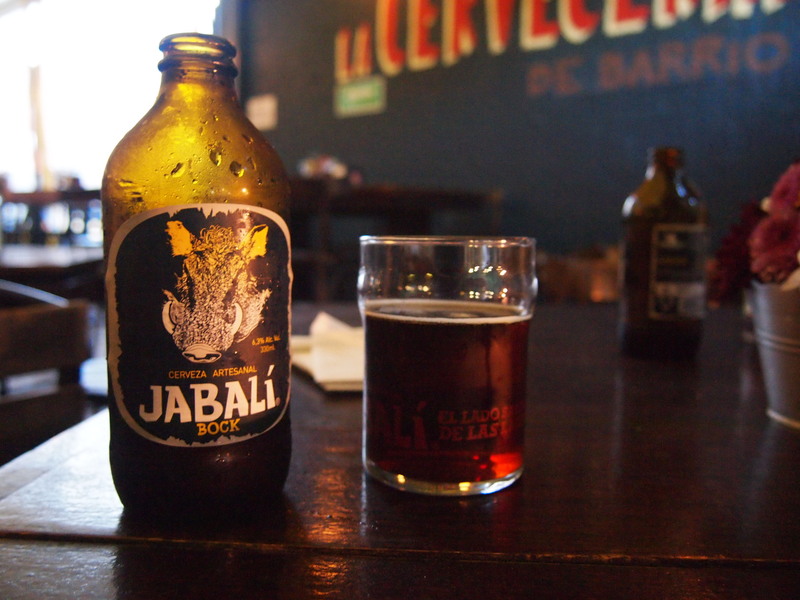 Ultimately, we took shelter in one of the restaurants that line the Jardín and waited out the rain with drinks. 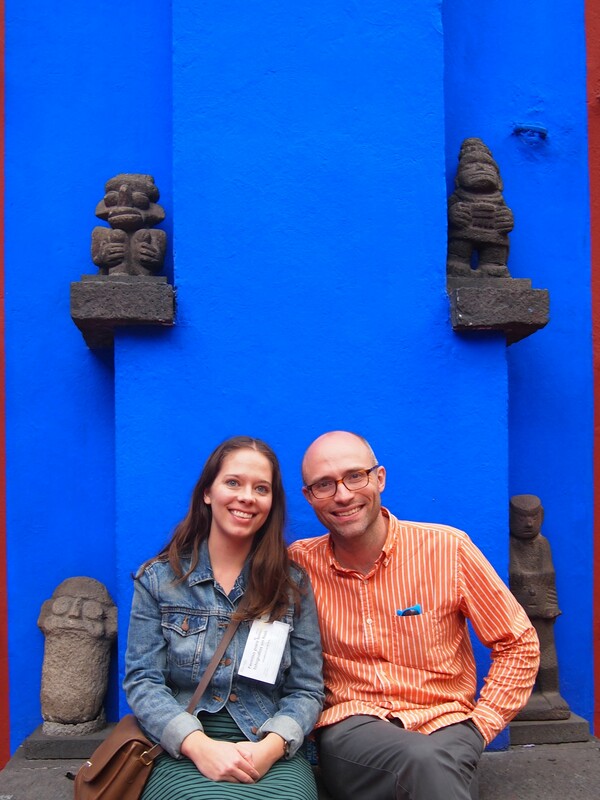 Of course, soon after we ducked into the restaurant the rain ceased. We noticed from our perch above the garden that there was a caricature artist in front of our restaurant working on a couple’s portrait. Somehow we came up with the idea to have our caricature drawn. So when we finished our drinks, we asked the artist for a two things: 1- could she draw the two of us here and add a third person using a photograph? 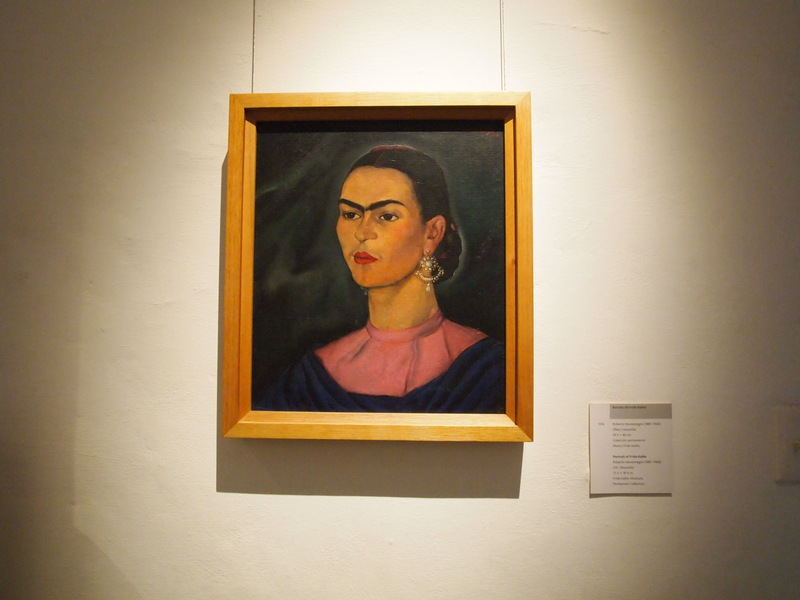 2- could she draw us in the likeness of Frida Kahlo? Yes and yes. Our artist was exceptional and worked quite diligently on a rather silly request. 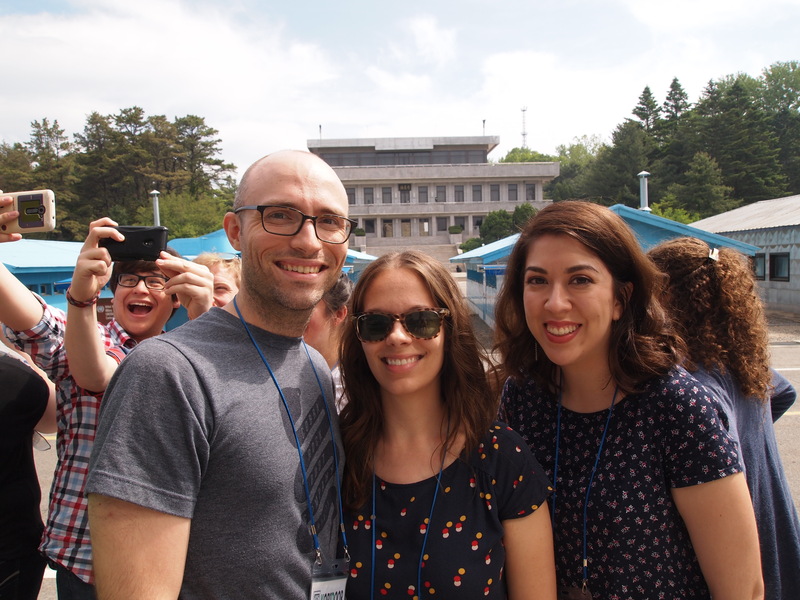 (Zach’s face is the most unusual but it was taken from a photo at the DMZ in Korea.) The end result was incredible and completed despite the rain’s return. 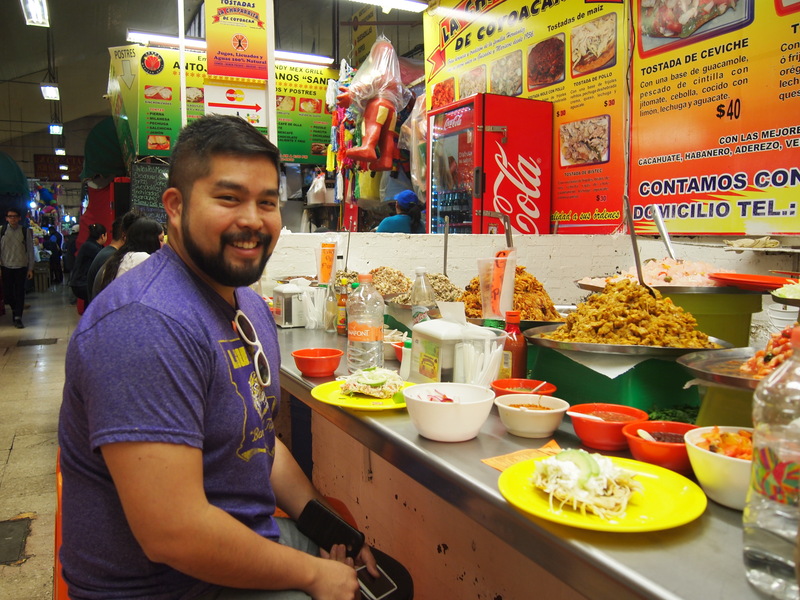 Man, Tim looks so happy in front of those piles of food. 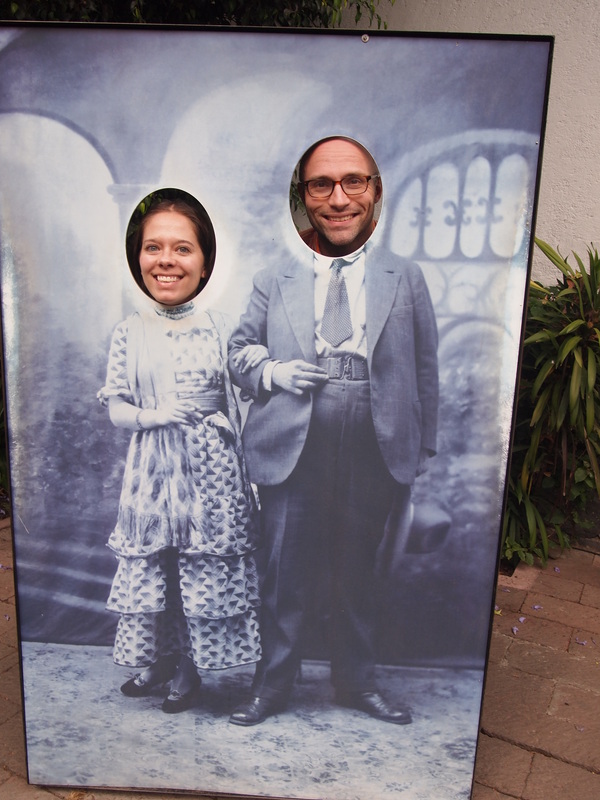 Also, that caricature is amazing! OMG I adore that little drawing!